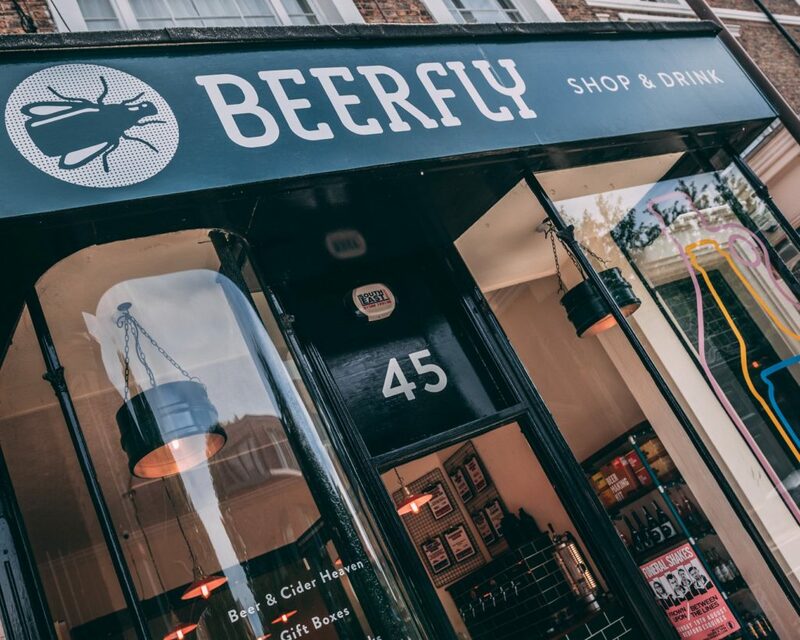 If Dry January is already feeling like it should be over (and it’s only day 7), then we suggest a trip to Beerfly on St Cuthbert’s Street to pick up a selection of low and no-alcohol drinks to see you through the remaining 24 days. Dates, tickets and prices etc… are yet to be confirmed, so check out their website and social channels for the latest information. Spaces are very limited to around 8 people per event. A German style Pilsner Krombacher Alkoholfrie is an excellent choice in the non alcohol beer category. It gives you the full flavor and feel of a “real” beer. I like to add a slice of grapefruit and a little sea salt to add to the the whole ambiance. Other notes – A 330ml bottle of Krombacher alcohol free beer contains an average of 89 calories, whereas a bottle of regular Pils weighs in with almost twice as many. Alongside great taste, Krombacher offers folic acid and vitamins B6 and B12 – which are retained by the special brewing process. And significantly, there’s no fat! 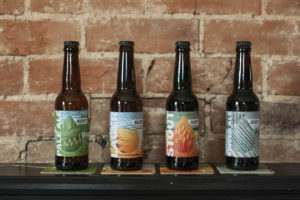 Big Drop – all 0.5% abv – Brewed in Ipswich, specialising in low alcohol beers. Spiced Ale – Aromas of ginger and cinnamon balance out warm malts. The palate is a mixture of malt, spice with a sweet berry aftertaste. One to warm up a little before serving in an old-school beer glass. You can enjoy this delicious beer at any time of year, but it’s better if there’s a bit of a chill in the air and you’ve roasted something in the oven for a couple of hours. Pale Ale – dry-hopped pale ale is deliciously refreshing. The nose has hints of pine and honey. Packed full of flavour from citrus-heavy hops with a twist of fresh lime to create a crisp, zesty beer. We serve it cold from the fridge in a straight sided half pint glass and enjoy it on its own or with a spicy Thai curry or a well-stacked chicken burger. Lager – With aromas of cracker, light honey and pepper, this lager is crisp, balanced with a suitable level of bitterness to ensure it has a dry, refreshing bite. Keep it nice and chilled. We drink it straight from the bottle but feel free to pour yours into a glass if you want. Chakra -1% – An American style hopped pale ale, like many of the more modern “craft” style beers that we have in the fridges you get that lovely fresh passionfruit and pine flavour when you crack open the bottle & a light bitter finish. 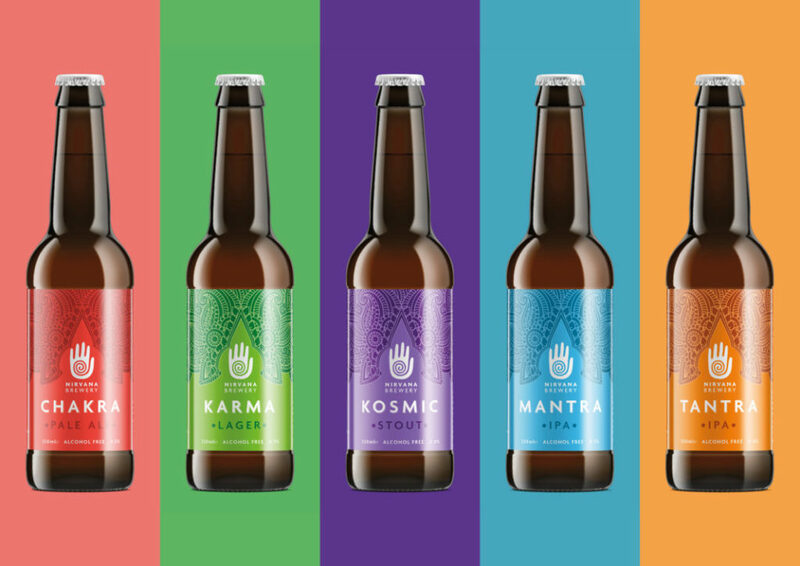 Karma – 0.5% – A more traditional style pale ale, light & refreshing with classic citrus and floral hop aromas leading to a dry bitter finish. Cosmic – 0.0% Dark and rich with deep aromas of chocolate and hints of vanilla, all well balanced by a smooth toasted malt base. Coming from Amsterdam this is inspired by the more traditional English IPAs, it’s light in colour with a solid bitter note and dry aftertaste. We also have a range of artisan soft drinks from Square Root in London. Award winning sodas made from fruit to bottle in East London. No preservatives, no artificial sweeteners, and no unnecessary additives.